Classic silver plated nutcracker. This practical accessory features the classic nut cracker design, with two sizes of pincers. 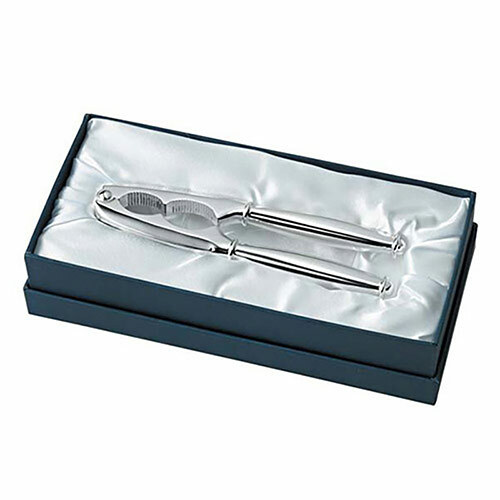 Supplied in a fine quality silver plated finish, these attractive bar accessories are ideal for engraving as corporate gifts or branded merchandise. They are offered with free engraving of text and logos from Business Gifts Supplier.